I’m a pretty easy sell when it comes to playing games. I tend to look at them the same way I do everything else in life. Always look for the positive. Sometimes the theme of a game is all it takes for me to want to play. I love the randomness that dice games provide and welcome the ability to work as a team in cooperative games. 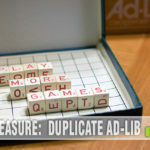 Puzzle and logic games give me the opportunity to apply a different set of analytical skills while Euro and strategy games are always challenging in a different way. Of course, there are also some games that I’m attracted to simply based on the game designer. 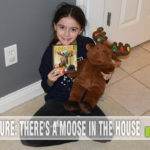 Then there are games that fall into more than one of those categories. 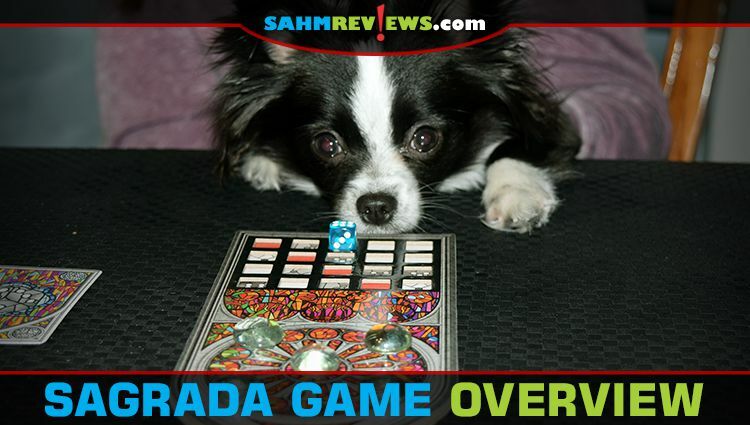 Sagrada from Floodgate Games is a perfect example. Daryl Andrews is one of the designers and has provided hours of entertainment for us with games like The Walled City, Space Invaders, Fantasy Fantasy Baseball, Back to the Future Dice Game and Outpost: Amazon to name a few. The next reason I like it is because the main components are dice. Not just any dice, but beautiful dice. 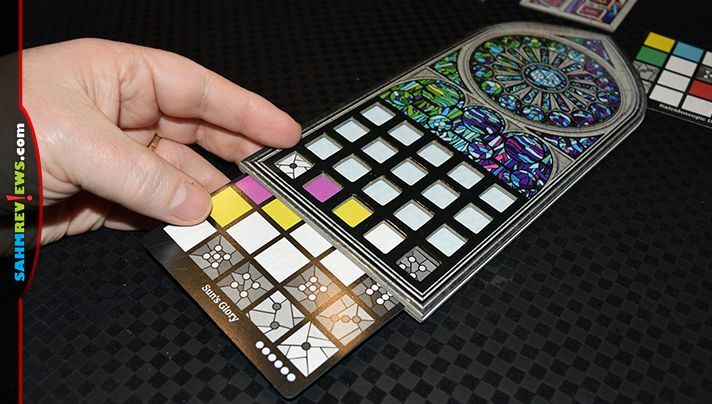 Finally, the stained glass theme offers a really cool end result. Colored dice represent the various colors and shades of glass that will be used to create your art. Lower valued dice are indicative of lighter shades of that color while higher numbers are darker shades. No matter how well you score in the game, there’s something soothing about playing. 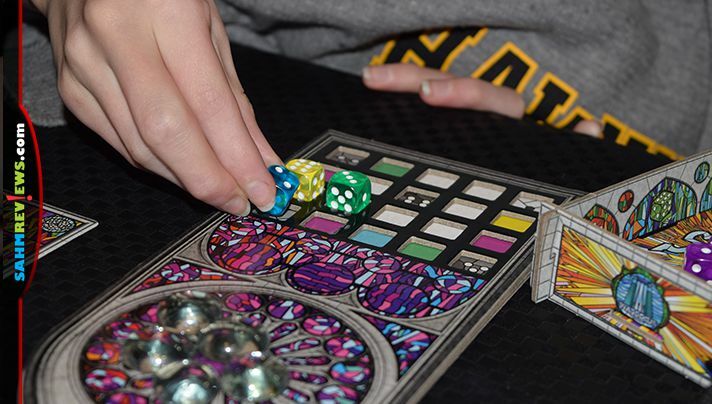 The theme of the game is that you’re competing against other artists to craft the most beautiful stained glass window. The base game plays up to 4 artists while the expansion allows for up to two additional. Each player takes a window frame and is randomly given a (secret) Private Objective Card. Three randomly selected Public Objective Cards, three randomly selected Tool Cards and the round track board are placed in the center of the table. Each player is also randomly given two double-sided Window Pattern Cards to choose from. Each has different requirements and you can tell how difficult they are by the number of circles displayed in the bottom right of the card. You keep one to use as your pattern for the game then discard the second. A supply of favor tokens are placed in the center and players take one favor token for each difficulty circle on their Window Pattern Card. Dice are all placed in a bag and given to the first player. I don’t know a whole lot about crafting stained glass, but I know it’s very intricate. The pattern you selected is what you’ll use as a guideline for creating your work of art. If it shows a 1 in a spot then you’ll need to put a die with a value of 1 there. If it’s yellow, you need to place a yellow die there. You cannot place similar colors or numbers orthogonally adjacent to each other so you’ll have to remember that while you’re drafting dice. But it isn’t simply about placing dice wherever you feel they fit. You have to start on an edge then work your way from there. The first player begins by randomly drawing dice from the bag equivalent to 2 per player plus one. Those dice are rolled and become the pool of glass for all artists to use for the round. The first player selects one die and places it in their frame. Play moves clockwise until each player has selected one. In what’s referred to as a snake draft, the last player gets to select a second and play moves counter clockwise until returning to the beginning player. The first person will now have only two dice to choose from. After making their selection, the last die is placed on the round track board. The next player clockwise takes the bag of dice, selects the specified number of dice and rolls them. Play continues as before for a total of 10 rounds and potentially 20 pieces of glass in their frame. Sounds pretty easy so far, doesn’t it? Well I hate to break the news (or the glass) but it’s not. You’re at the mercy of the randomness of the colors of dice drawn from the bag by the starting player as well as the values rolled. To make matters worse, there’s the likelihood that other players will want the same dice that you do. While you are each working on your own individual Window Pattern, the objectives also impact how you’ll create your artwork. Personal objective cards vary depending on the base game or the expansion and provide victory points only to the person who has that card. Public objectives range in value and type including using different colors or shades across your pane, in a specific row or in particular patterns. 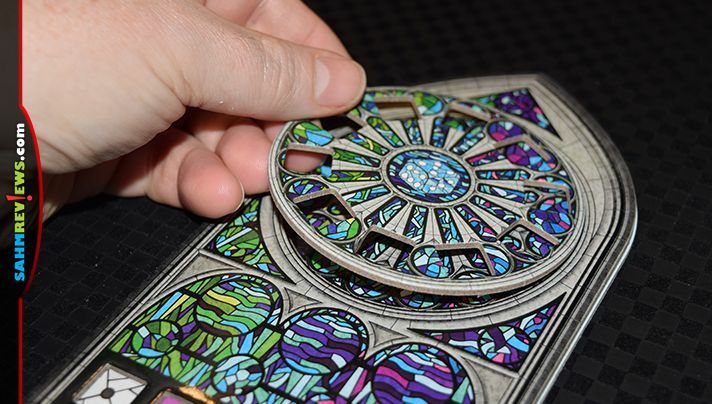 Stained glass artists use tools to manipulate the glass. Remember during setup how each player was given Favor Tokens based on the difficulty of their pane? Favor Tokens are used to purchase the benefit depicted on the public Tool Cards. The first time each Tool Card is used by any player, it costs one token to use. After that, it costs two. 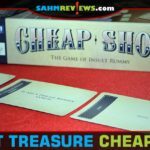 The tools change each game and range in ability and include options such as ignoring the color or shade restrictions, re-rolling a drafted die or relocating an existing die to another spot. If you’re ever unable to meet a requirement or place a die then you may opt not to draft one. At the end of the round, all remaining dice are placed on the round track board. After 10 rounds, play ends and scoring begins. 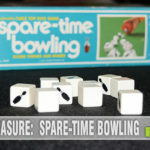 The dice are removed from the round track and it is flipped over to use for scoring. Public Objective Cards are scored followed by Private Objective Cards. Remaining Favor Tokens score players one point each while players lose a point for each open space in their window. The player with the highest score at the end gets to display their art for all to see! I mentioned that the expansion opens the game up to an additional two players, but it also has a few other options to change the dynamics of the game. The rules change slightly but the overall goals and objectives are generally the same. New goal and tool cards are included, but the most notable aspect of the expansion is the inclusion of Private Dice Pool Boards. 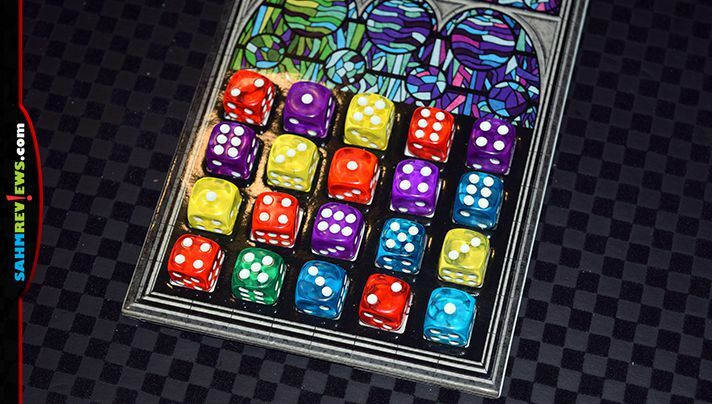 With the individual dice pools, players are given two of each color of dice which they roll and place into the Private Dice Pool Boards. Rather than make two selections from the main pool during a round, players select one from the main pool along with a second from their private pool (in either order). Since the length of each round is now cut in half, there’s only one opportunity each round to access tool cards. The objective cards in the base are straightforward and it’s pretty easy to figure out what an opponent is working on. 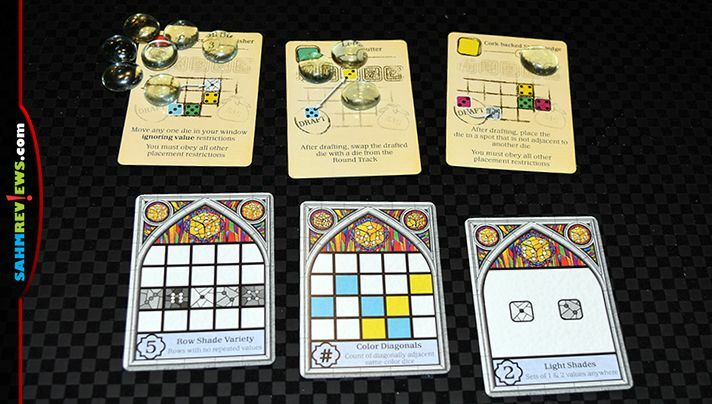 With the expansion, more – and different – objective cards have been added to add more diversity to the scoring aspect of the game. Whether you want to play solo using the base game or extend play with the expansion, it’s an amazing game. 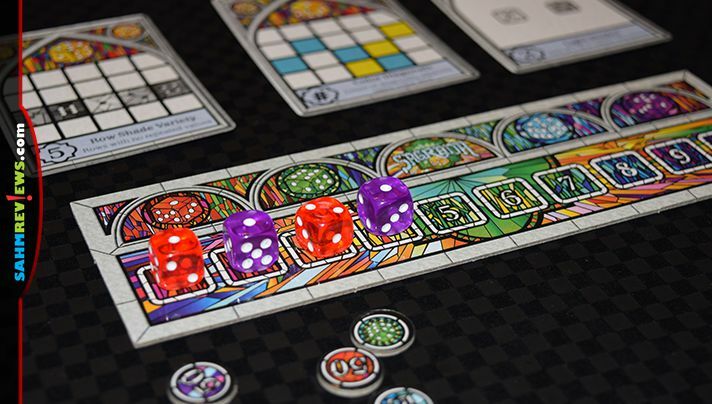 You can pick up copies of Sagrada dice game (and the expansion) on Amazon or direct from Floodgate Games. 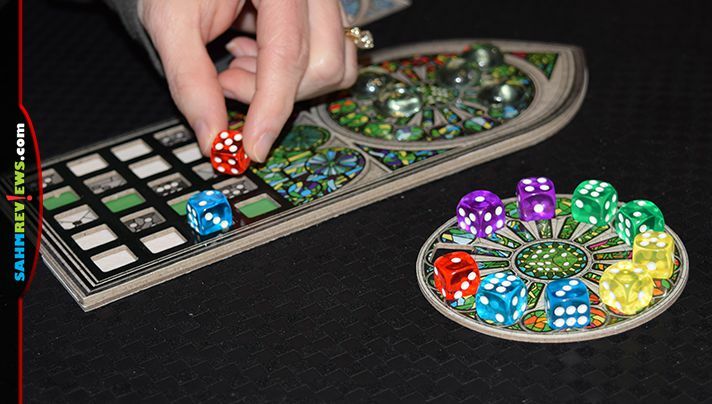 If you’ve been gazing at their Facebook and Twitter channels then you’ve already noticed that Floodgate has been crafting Sagrada, The Great Facade Expansions: Passion, Life, and Glory. Passion, the first in the three-part series is scheduled to release this spring. We hope to bring you details on these as they are released. Have you ever created stained glass artwork? Oh I’d love to play this one! 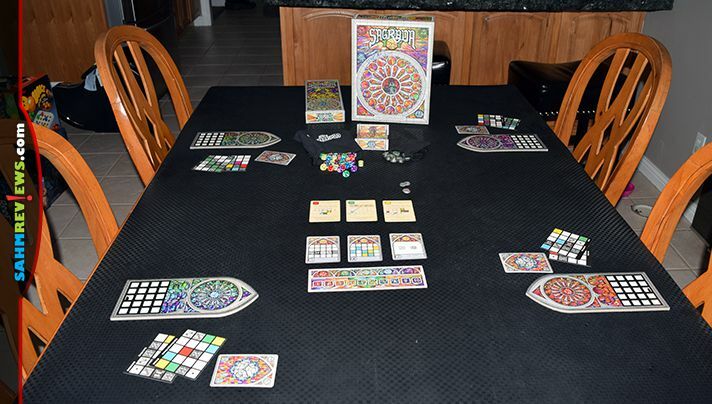 We love Sagrada and I like the 5-6 player expansion change. Would love to play it this way sometime. 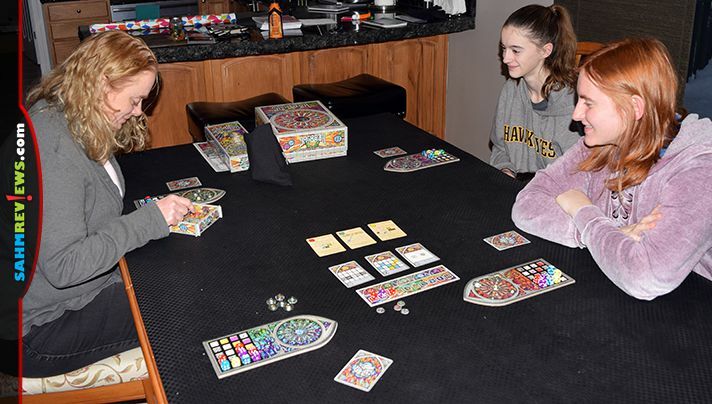 Sagrada is our go-to ‘we have 30 minutes to play a game’…game 🙂 It’s great!